Mar takes the Longhorn Open. Congrats to Javier Mar for winning the big Longhorn Open WRT draw on the weekend. He comes out on top of a 22-player draw that ended up having a very Mexican-flavor from the 16s on-wards. NOTE: this is a correction post-publishing; the wrong winner was initially put into the bracket on r2sports.com. My apologies. Corrected now thanks to feedback from Jaime Martell. – Lukas Le took out Alexi David Cocco Hayes in a tie-breaker. 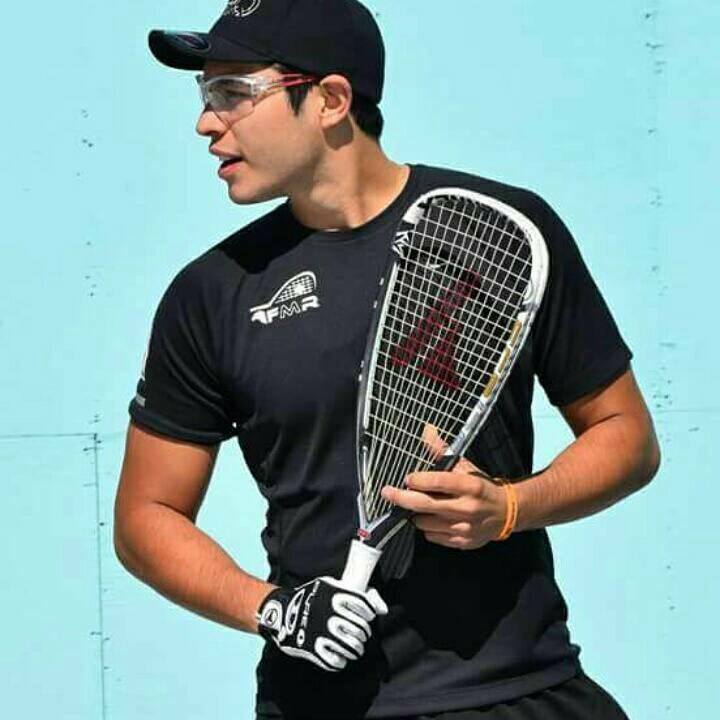 – Nico Miramontes downed fellow Mexican 18U player Mauricio Delgadillo 11-9 in the breaker. – Erik Garcia took out Sebastian Longoria, who is still playing in 16U, in two straight. – Edson Martinez saved match point against before advancing against long time Japanese International player Hiroshi Shimizu. – Javier Estrada upset #3 seeded IRT regular Justus Benson in two straight, an unfortunate underseeding match-up that cost Benson a too-tough early round match. 10 of the 16 players in the round of 16 were Mexican … and all 8 of the quarterfinalists also hailed from south of the border. – #1 Jaime Martell Neri played a solid match to down #9 Edson Martinez in two. – #4 Eduardo Garay was stretched to a breaker but downed #5 Jordy Alonso. – #4 Garay outlasted an at-times frustrated Martell in a tie-breaker. – #6 Mar took a close two game win over a rejuvenated Cardona 14,11. In the final, Mar got a solid win over Garay 12,11 to take the title. In the doubles finals, the two singles finalists teamed up to take on the upset-minded Estrada/Alonso team, making Mar the double winner on the weekend. Next up for the WRT? No idea. The website is back up, but still shows data and tourneys from 2017 (which seems to indicate to me they suffered a pretty significant data crash and restored a very old backup). In 2018, the next event after the Longhorn Open wasn’t until May (the Georgia Open in Atlanta). Lets hope we get some announcements soon.